Being a lover of fruit teas, I was very pleased to be sent a Cold Brew Tea Bottle (RRP £20) from Whittards along with two packets of their teas; the Very Berry Burst fruit infusion and the Mango and Bergamot a Flavoured Green Tea. The tea bottle is a glass bottle, with a filter/strainer that fits inside and a rubber top with a stopper, looking much like a wine bottle. By infusing the tea slowly, you get all of the mild, rich flavour with none of the bitterness. It’s incredibly easy to use too; you simply add 5-7 teaspoons (15g) of your tea leaves to the bottle, fill with cold water to the top mark, place the cap on, swirl the bottle to mix and then refrigerate for a few hours (or overnight). I made my first bottle using the Very Berry tea and left it overnight to infuse. The following morning the tea was a rich, fruity red with a clean taste, no bitterness and very refreshing. To serve, you simply swirl bottle to mix, allow the leaves to settle for a short while and then pour. The inbuilt filter stops the leaves coming out into your glass. I enjoyed mine at my desk at work throughout the day, but this would be a perfect drink to accompany a meal, a picnic or just a refreshing non alcoholic drink at the end of the day. I’m now getting through a bottle of this tea a day and as it’s sugar free, it’s the perfect tasty, low calorie way to remain hydrated. I was sent the Cold Brew Tea Bottle and teas free of charge from Whittards. I was not under any obligation to write a review, positive or otherwise. We all know that we should drink between 6 and 8 glasses of water a day, don’t we? Well, what we don’t always know is that this doesn’t have to be plain water; it actually refers to the amount of fluids that our bodies need to stay hydrated. These can be obtained from our morning cup of tea or coffee, to the drink we have with our lunch and dinner. It’s not always as easy to keep up your hydration when you’re on the go, especially if you fancy something a little more tasty than plain water, a fizzy drink from a can or a coffee shop coffee, or indeed if you’re a little fussy like me and don’t like purchased still drinks as they’re far too sweet for my palate. What’s the solution? 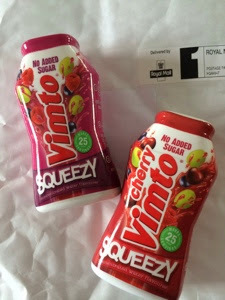 Enter Vimto squeezy! These little, 50ml bottles of highly concentrated squash contain no sugar or calories and transform a bottle of chilled water into something incredibly more tasty. It’s available in 3 flavours; Original, Cherry and Strawberry, with each bottle providing up to 25 servings. You only need a few drops added to your glass, or about 4ml (just under a teaspoon) for a 500ml bottle. Add to this the fact thaty they’re also small enough to fit into your handbag to take with you. In fact I have one of these little bottles on my desk at work and the other in my handbag for on the go hydration with the flavour of my childhood (original variety). I was sent these two bottles as samples from the PR company for Vimto free of charge. 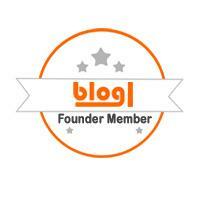 I was under no obligation to provide a blog post, positive or otherwise, as a condition to receiving the samples.